This little rhyme was drummed into me in primary school, and yes, I still remember. 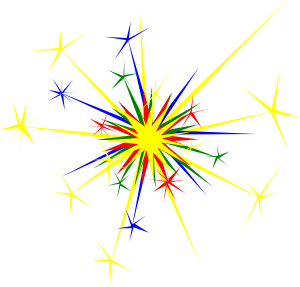 What I remember more fondly, from the fireworks nights/bonfire nights/5th of Novembers of my childhood, is the fireworks displays and the yummy, comforting Autumn food I got to eat afterwards. Well, all that ohhing and ahhing at fireworks is a cold business on a November night in England–we needed some delicious warming food! Baked potatoes straight from the bonfire, homemade soups, and hot dogs with caramelised onions–I think they are the reason I love autumn so much. But now I’m a mum, I can see what a big faff all that arranging of fireworks and the preparing of all that yummy food must have been, so I’ve come up with a recipe that offers all that comforting yumminess in one easy dish. 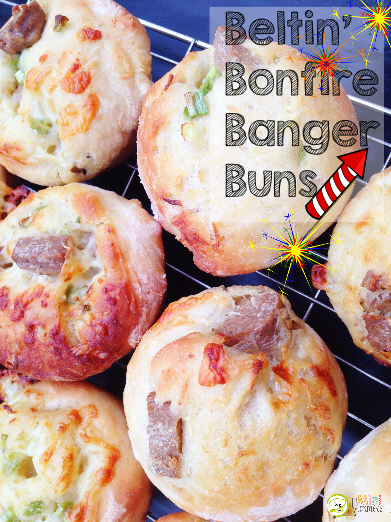 Beltin’ Bonfire Banger Buns are doughy, warming bread rolls that have the sausages and onions baked right in–as well as cheese and garlic butter for the extra yum factor. What’s not to love? They are also cooked in a muffin tray to make life easier. By the way, to my overseas readers, bangers is another word for sausages as well as being one of the fireworks that makes the most noise. Beltin’ (or belting, if we’re being technical) means amazing and then some. Try these, and you’ll see what I mean. * You can use any sausages you like, but we’re a veggie family and love Quorn products. I highly recommend them for this recipe if you aren’t vegetarian because: 1) They’re healthier; 2) They are easier for kids to cut up–definitely less messy; 3) They don’t have as much fat in them as meat sausages so they won’t ruin your bread dough. 1. Mix together your bread ingredients, and knead for 5-10 minutes. Cover over with cling film for 1 hour. You can prepare some of the other ingredients while you wait. 2. Cut the sausages into 1 cm wide slices using a regular knife you’d use while eating dinner. Snip the spring onions into small circles using a pair of scissors. Grate the cheese. 3. Get a grown up to crush/mince/finely grate the garlic clove. Mix it into the butter. 4. When your dough is ready, stretch it out on a floured surface to a rectangle shape that measures about 20 cm x 40 cm (8 inches by 16 inches). The dough should be about 1.5 cm (about 1/2 inch) thick. 5. Spread half of the garlic butter over the dough. 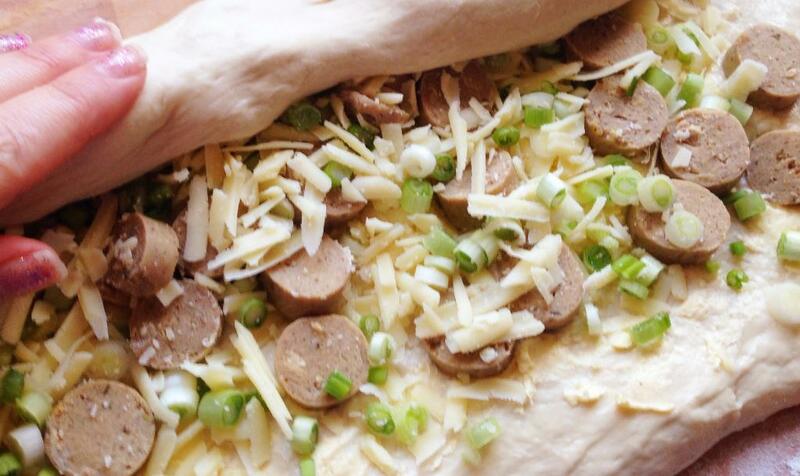 Now put the sausages, onions, and cheese on top. 6. Using the longest edge of the rectangle, roll your dough up like a Swiss roll. Cut your roll into 12 pieces. 7. 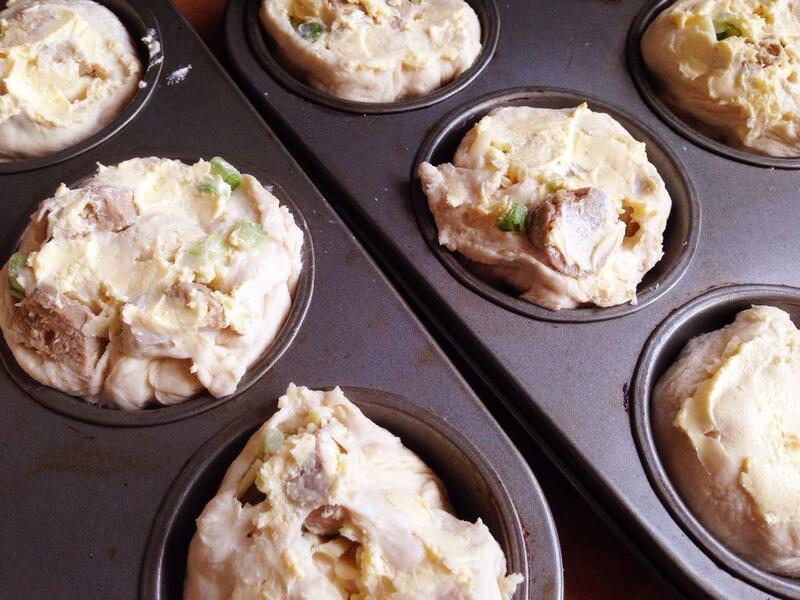 Spray a small amount of oil into each well of the muffin tin. Put a portion of dough into each section, with a cut side facing up. Spread the remaining garlic butter over the top of the dough–a teaspoon is easiest for this job. 8. Wait 15 minutes and then put your oven on to 190c/375f/gas 5. Once the oven has reached temperature (another 10-15 minutes) you can get a grown-up to put your buns in the oven. 9. Bake for 20 minutes or longer if needed. They should be beautifully golden on top. 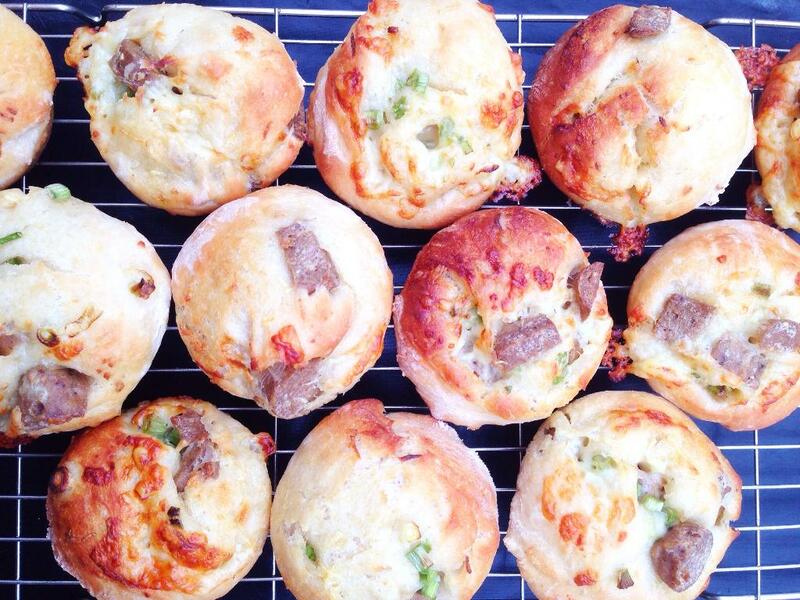 These taste amazing warm, but any leftover banger buns can be popped in a lunchbox for tomorrow’s lunch. They are so yummy I could even eat them for breakfast! TIP: You can prepare these buns ahead of time, right up to spreading the butter over the top. Keep them in the fridge for up to 10-12 hours, and then take them out of the fridge 15 minutes before you put your oven on. Want some more bonfire night fun? 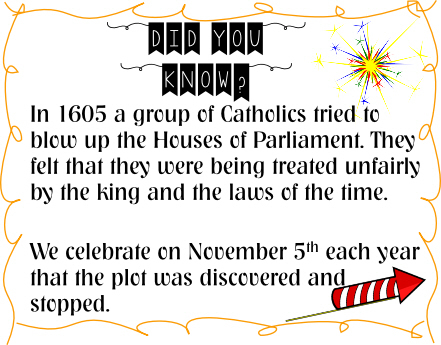 Try playing this gunpowder plot game from the the BBC. Want more yummy recipes like these? Join us on our Facebook page to keep up to date, as well as random cooking tips, facts and fun!